Independent Service Company CP Automation has launched new, e-commerce enabled, industrial repair and field service web sites for itself and its sister company Euroserv. The two new sites cover the two company’s twin areas of focus; the supply, repair and field service of industrial electronic boards, PLC's, AC drives,resistors, DC drives and inverters. Both CP Automation and Euroserv provide an independent supply chain fulfilling their clients MRO needs; simply choosing the most appropriate product from any manufacturer for each job. As well as online buying, the sites feature a host of information on technologies ranging from regenerative braking, dynamic braking and energy efficiency to electronic and electrical repairs and maintenance. One of the most innovative products on the two new sites is RevCon, a system which returns the energy produced when a motor slows down to the grid. RevCon can use a feed-in tariff, similar to those found on domestic and semi commercial wind turbines and can be retrofitted to any inverter, irrespective of design or manufacturer, thanks to its versatile non-software driven installation protocol. Because many motors, in applications such as pumps, fans, elevation and conveying are required to brake constantly as the application slows down and stops, the potential for saving with the unit is huge. 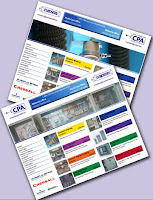 CP Automation’s Web site can be found at www.cpaltd.net, while Euroserv’s equivalent is www.euroservltd.net.